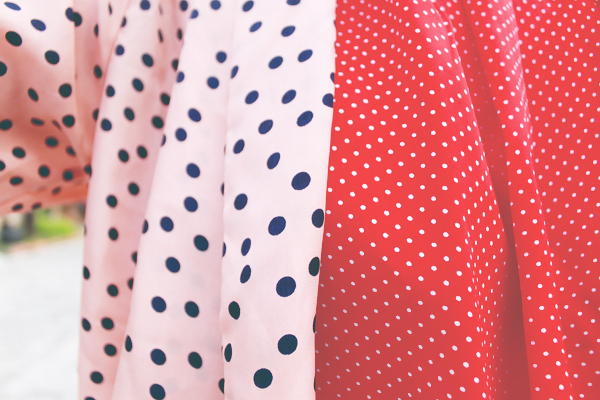 Funnily enough, I woke up this morning and decided to throw on every piece of clothing I could find in my closet that had polka dots or circles on it. I don't know what came over me, but the result was surprisingly pleasant. I found a good balance in bright, light, and neutral pieces, as well as mixed different sized prints in achieving the look you see above. I do believe that these are the 2 out of 3 pieces I own in that print. 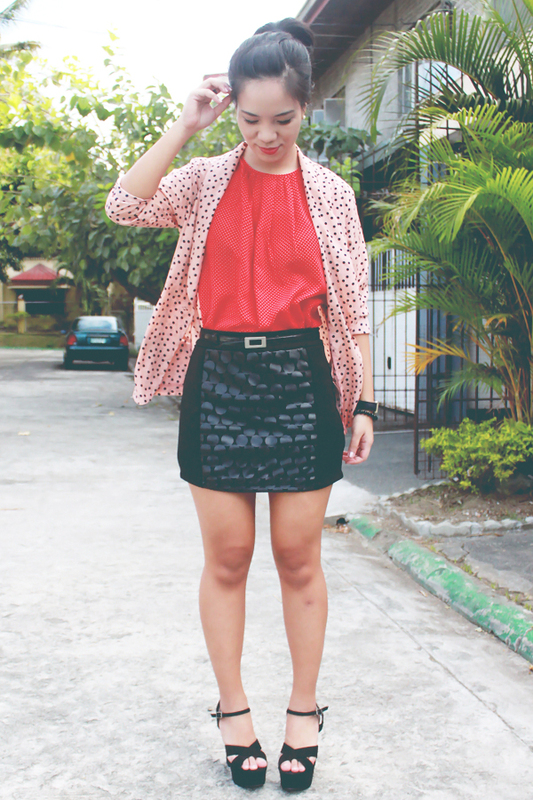 I'm not counting the skirt because it's only faux leather with circle cut-outs. 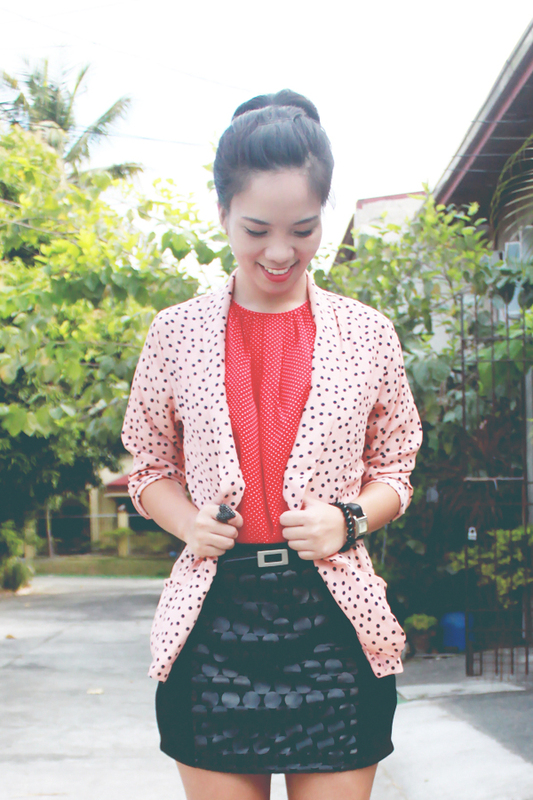 Compared to the number of florals and stripes that I have in my closet, polka dots are definitely far behind. But we'll see. There are so many patterns that are emerging lately that I can't help but experiment a little every now and then. i love how u mix the jacket and top! i am so into brights right now! Maybe we could follow each other on Bloglovin and/or GFC?